Celebrate! Add a new furry member to your family! 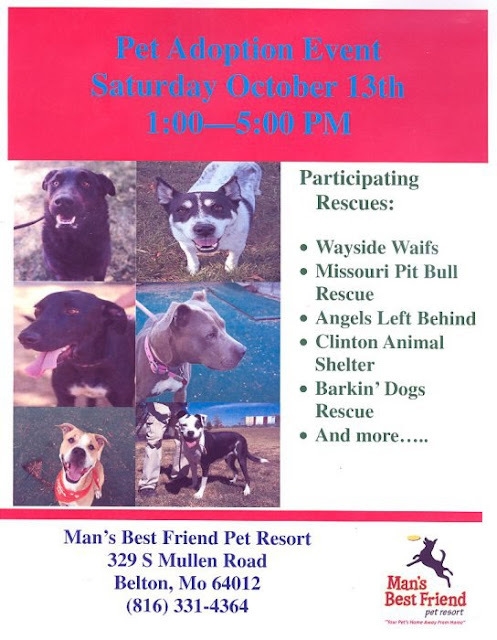 Who: Wayside Waifs, Missouri Pit Bull Rescue, Angels Left Behind, Clinton Animal Shelter, Barkin' Dogs Rescue and more!